Two recent #physiotalk discussions have been about getting research into practice – with lots of the twitter discussions about how best to get hold of high quality evidence in an easily understandable format. The next #physiotalk is in conjunction with the @MSK_elf (aka @ProfTraceyHowe and Lesley Dawson) and will look at one answer to getting that information! The #physiotalk will be on Monday 17th August at 8pm BST. The MSK Elves write ‘People are still not getting the information they need. The huge volume of high quality published research means that there is simply too much new information to keep track of., In addition, a huge volume of irrelevant publications obscures the really good quality and clinically relevant material. Studies show that if health professionals can get access to the right evidence at the right time, they make better decisions and fewer mistakes. So the National Elf Service, a series of websites, provides unbiased and evidence based analysis of recent research, guidance and policies and produces accurate, accessible and balanced blogs summarizing the information’. team of musculoskeletal experts post updates every week with short and snappy summaries that highlight evidence-based publications relevant to musculoskeletal conditions in the UK and further afield. We scour over 400 databases, journals, websites and other feeds to bring you the best available evidence about musculoskeletal conditions. Items are selected using an evidence-based inclusion criteria to ensure they are based on high quality research, policy and guidance. The selection process has no input from any external bodies, publishers, sponsors or commercial organisations. We critically appraise the material we find using the CASP critical appraisal checklists. You can be the first to hear about key guidance, systematic reviews and high quality research and information. No jargon, no misinformation, no spin, just what you need. Heneghan C. How many randomized trials are published each year? 17th March 2010. Do you think you have an elf inside, fighting to get out? How do you keep up to date with the latest health information? How easy is it to access information at work? Howconfident are you in searching and appraising information? Much health information is online. What do you trust? Why? Do you share online health information? How? Why? Have you heard about or used the National Elf Service blogs? If you use the Musculoskeletal Elf blogs, in what way were they useful? 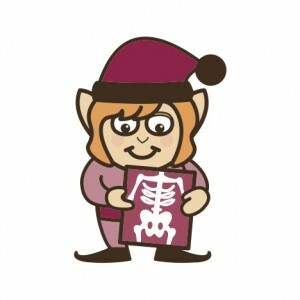 How can the Musculoskeletal Elf help infom your practice ? I’m Tracey Howe Professor of Rehabilitation Sciences at Glasgow Caledonian University and Deputy Chair of Glasgow City of Science, an editor for the Cochrane Musculoskeletal Review Group and convenor for the Cochrane Health Care of Older People Field. I am a Trustee of the Picker Institute Europe. I started my career as a physiotherapist in the National Health Service England. I have extensive experience of assessing the quality of research in Universities in the UK and internationally. I enjoy strategic visioning, creative problem-solving, and creating vibrant, multi-disciplinary environments, through collaboration, partnerships, and relationships, that empower others to succeed. Hi I am Lesley Dawson an ESP physiotherapist working in elective orthopaedic outpatient in the Scottish NHS. My special area of interest is shoulder and knee conditions. I have had the privilege of being physiotherapist with Team Scotland at the last three Commonwealth Games as well as their head physio at the Commonwealth Youth Games in 2011. We are both Chief bloggers for The Musculoskeletal Elf.